Many of us imagine have smooth and silky skin on a regular basis. What we also imagine is having that smooth and silky skin without having to constantly shave, wax or tweeze it. Not only is it expensive to keep our bodies hairless, but it can be quite painful as well. If you’ve ever removed unwanted hair – and who hasn’t? – then you’ve experience the perils that come along with hair removal. Laser hair saves time and money, no doubt about it. Ingrown hairs, razor bumps, rashes, nicks, cuts and scratches – we’ve all had to deal with these unfortunate ramifications of hair removal at some points in our lives. But there is a solution to removing unwanted hair that won’t result in these common skin problems. Laser Hair Removal, of course, allows for people to do away with shaving, waxing and tweezing for good. 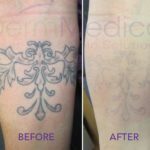 The treatment is actually one of the most popular cosmetic procedures that people get these days. And you don’t have to take my word for it. According to Elase Medical Spas in one of their very informative YouTube videos, “Laser Hair Removal is the fastest growing cosmetic treatment in the world.” Clearly, people all over the planet imagine having smooth and silky skin. And they certainly are getting tired of spending their hard-earned money and precious time shaving, waxing or tweezing off their unwanted hair. This is true for both men and women, the video’s narrator affirms. There are those, however, who are concerned that perhaps going under a laser is the most painful way of all to remove hair. That couldn’t be further from the truth. The video demonstrates how Laser Hair Removal procedures are performed. The patients receiving the treatments are noticeably at ease and don’t appear to be experiencing any pain at all. But how does the treatment work exactly? “The light targets the pigment in the hair, destroying the follicle and eliminating unwanted hair,” explains the narrator. She goes on to describe just how quick and effective Laser Hair Removal is. 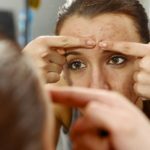 “You’ll see results after just a single treatment,” she affirms, “and after a series of eight to twelve treatments, clients can expect about 70 to 90 per cent permanent hair reduction.” Not only are the results shown to be both quick and effective, but each treatment only takes up minutes of a patient’s time as well. Consider how much time it takes to shave, wax or tweeze. Laser hair saves time for everyone who undergoes the procedure. The key, as always, is to have a trained professional conduct your Laser Hair Removal treatment for you. “Laser is safe and effective on all skin types and all body areas when performed by expert technicians,” insists the video’s narrator. Speak to an expert about having your unwanted hair permanently removed by calling DermMedica toll free at 1-866-861-3070, or if you are in Kelowna, call 250-868-3070. Laser hair saves time and money so invest in your time now.